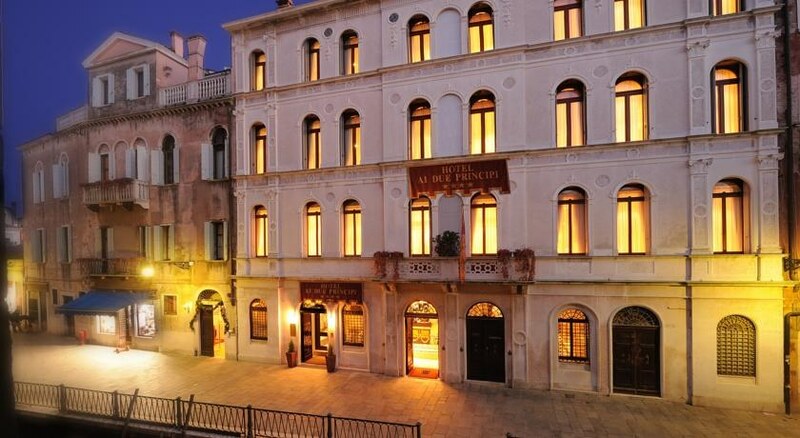 In San Marcos, the hotel boutique Ai Due Principi in Venice welcomes you with professionalism and experience of a multilingual staff, an example of the best in the hospitality tradition of Venice, among the best known and appreciated in Europe. Being a host in this 4 star hotel is an exciting and impressive experience, thanks to the efficient renovation which has transformed the old palace of a noble family into a warm and charming hotel. Room and laundry services under request. 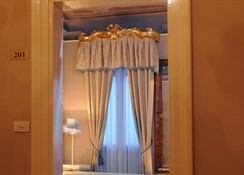 With views on the typical Venetian canal, the hotel is located in the historical center of Venice, in the old neighborhood Castello, 5 minutes away from Plaza San Marcos and 200m from the public Service of San Zaccaria. 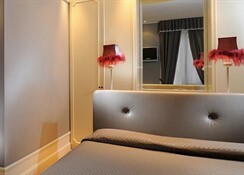 All the bedrooms are very spacious and even some are 45sqm. 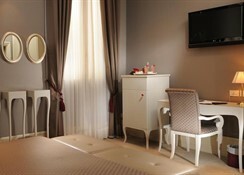 There are equipped with all the commodities as minibar, safety box, air conditioning. The bathrooms, with bisazza tile, have hair-dryer, shower with hydromassage. Also, apart from the basic internet connection, our new structure offers a wi-fi connection. 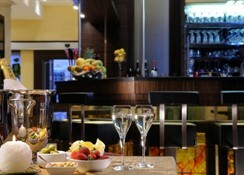 In the lobby, there is a small meeting room, breakfast room and a bar. There is a lift and indoor patio where you can observe the original well from the years 700.